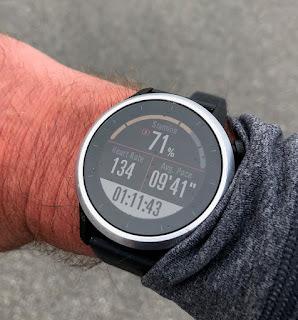 Road Trail Run: Polar Vantage V GPS Multi-Sport Watch Initial Review Updated: With Patience You Will be Rewarded! Polar Vantage V GPS Multi-Sport Watch Initial Review Updated: With Patience You Will be Rewarded! 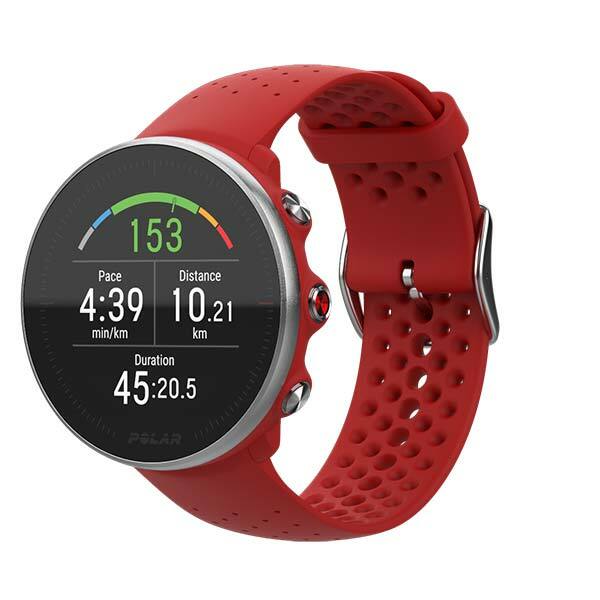 Update: With the release of Polar's first major firmware update (3.0) to the Vantage on February 11, 2019 the review will be progressively updated as I test the new features. I have been testing the Polar Vantage V for a few months now and yes it takes time for it to analyze your trends to see its benefits but now I feeling the famous "Polar Flow”. With a month of steady consistent training in Park City I am now seeing the magic of the system despite the new Vantage V's early warts. Tolerance above is a 28 day average of my ability to endure cardiac training. January 1st arriving in Park City I was at 80, now while closely following the Polar Flow data, I am at 116 so progress on my training for Boston. Strain above is my average daily load over the last 7 days. It is shown as "Productive" in the green so good. It took me a while to learn from the data that I was not training quite hard enough as I was often stuck in “Maintaining”. The picture above starting the top graph shows my cardio load status and indicates did not "Over reach" much, the orange area, and need to a bit more. The graph below shows my Strain (purple) vs Tolerance (blue) with the red bars being my daily cardio load. Clearly, its shows working with the Polar Flow system's data as the month went by I tolerated an increasing training load. 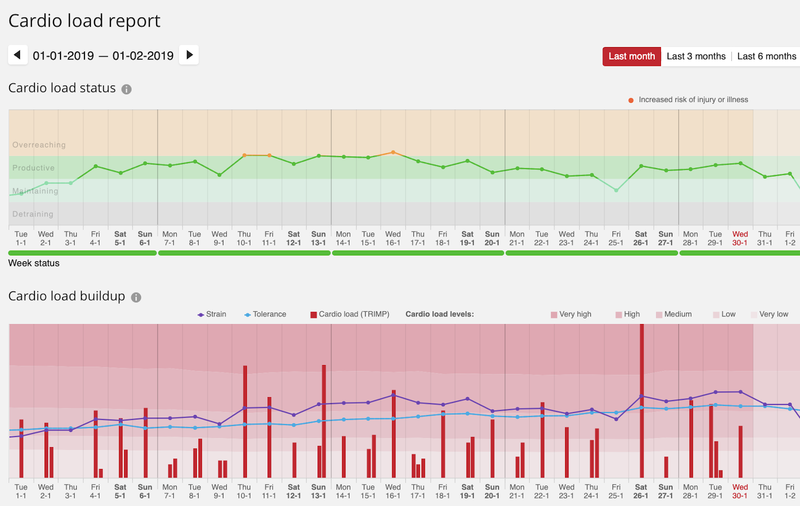 The view above shows the results of a fine month of training here at 6800 feet, mostly running on groomed snow, with some indoor track and snowshoe running and plenty nordic skiing with over 230 miles of training and over 14,000 feet of ascent. Hard packed snow is the best surface for easy on the legs training. My paces were mostly moderate and it's time to up the pace back at sea level. The max battery life spec is 40 hours with wrist HR and GPS. I get close if not right on to the spec. A 196 minute test indicated 36 hours but the rounding of the gauge down 1% as am not able to catch exact percentages tick would put it a 40. I went 6.91 days with continuous(non training( heart rate off and had 21% battery left so would expect about 8.7 days of battery life at the same continued training volume During that period, I ran or nordic skied 8.4 hours (GPS plus wrist HR) and treadmill ran (no GPS but wrist HR) for 1.3 hours. The watch also monitored all step, activity, and sleep. Accurate indoor running/treadmill accuracy. The watch self calibrates for this from your outdoor runs as far as I can tell. Accurate Sleep and Activity tracking. I also like that Polar Flow translates steps into distance for overall weekly and monthly statistics. Update: you can now view your sleep stats directly on the watch without synching to the app. You can also see your lowest nighttime resting heart rate. 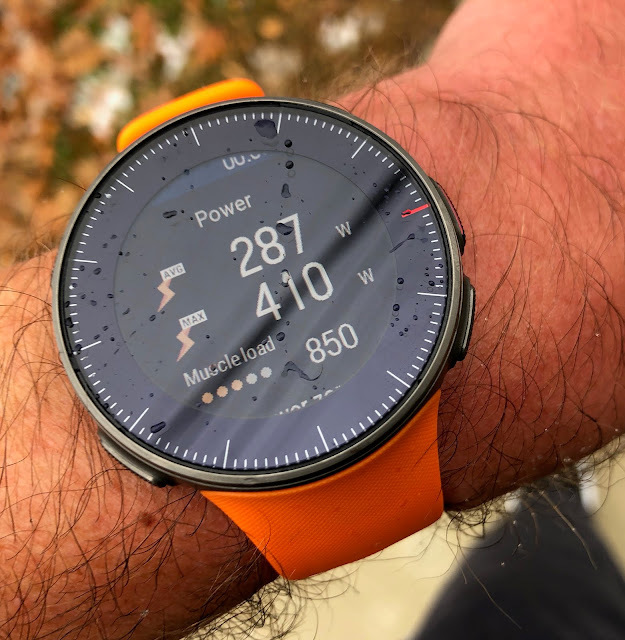 First watch that I know of with Power and Muscle Load on the wrist (uses GPS and barometric altimeter) for outdoor running. Stylish and comfortable (even on my thin wrist). Five button operation during training, button or touch screen otherwise. Update: The Vantage V now has an excellent Route navigation module. You select a Route, one of your own or the community's and synch to the watch. By using the new "gear" icon on every sport profile and which can also be accessed in workout from the Paused screen you can select and follow a route. The gear icon also allows you to access Favorite workouts such as interval sessions you have set up and interval and countdown timers. I tested the navigation. Top: I downloaded a Favorite Route from Polar Flow to the watch, followed it and deliberately went off track. The watch alerted me when I was 50 meters or so off track and what direction to return to my Route. The pic shows me looking towards the route and was exact as to how far to get back on track, just before the blurred building at the curve . Bottom left: the arrow shows me on the route. The other line to the right is my outbound route on the other side of the highway. Bottom right: I stopped exactly where the distance to complete the route was zero. 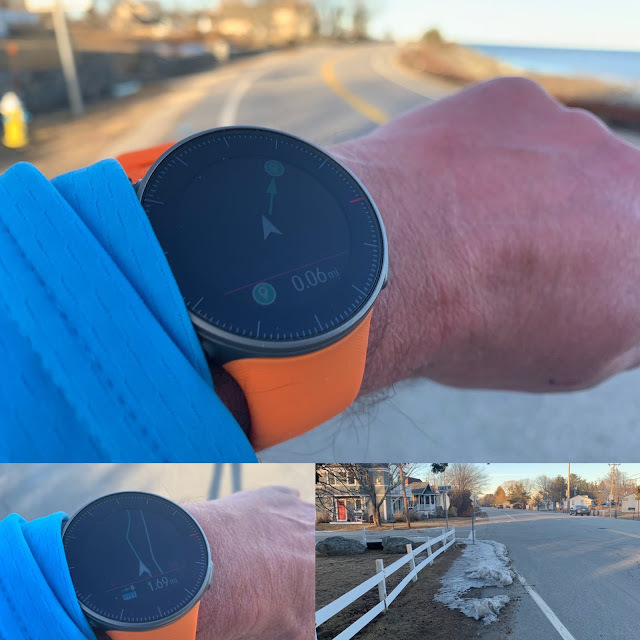 The watch took into account the 3/10 of a mile (0.5km) during the 9km run where I was off track and was within a few meters of exact as the route finish was at the intersection at the end of the white fence. Not always consistent wrist heart rate. While averages for a run seem accurate there are many peaks and valleys in the detail which are not always explained by terrain or pace. GPS distance can be slightly optimistic vs.actual as measured multiple times on the same courses with multiple devices and track accuracy could also be improved. On my daily runs I often start running just as soon as the watch indicates with a beep and green circle that it has acquired satellites. I find the first mile is often the furthest off track. Update: I think one must wait a while longer than the initial indication to get a full stable constellation of GPS satellites. In a recent 10 mile race where it was ready to go for several minutes I got a very accurate track and only very slightly optimistic distance. Here are the stats for the 10 mile run compared to a Garmin Forerunner 935 on my other wrist. Very dim screen with no current ability to reverse to dark digits on white background. I found using a two data field screen improves legibility. No phone notifications as of yet, but expected soon in an update. Update: Phone notifications are now shown on the watch. Limited watch faces as of now. Basically time and date with 5 swipe able fill in views: date and time than swipe to show activity status, last training session, training load, and measure heart rate. See the video above for a demonstration. 24/7 heart rate monitoring, outside of training, is shown in Polar Flow and shows lowest sleep and daytime heart rate as well as maximum daily heart rate. Update: Sleep lowest heart rate is now shown directly on the watch along with lowest and max heart rate for the day. 24/7 heart rate monitoring is not currently used to gauge recovery and overall cardiac stress. Having it running 24/7 reduces overall battery life to about 4 days in a recent test which included 2.8 hours of GPS plus HR training. To otherwise capture heart rate variability (a key recovery metric) a multi minute chest Orthostatic HR strap test must be done on wake up. Why can't the highly sophisticated 9 LED wrist HR sensor pull this off or close enough and why can't at a minimum it not capture sleep HR stats such as lowest resting heart rate. I found it too much of a burden after a while but some with a need for very accurate recovery information will find it useful. It is important to note that the Vantage V released this fall and is completely new hardware and firmware. Polar chose to first focus on key training features. We hope and expect that many of the Cons above will be improved on during 2019 firmware updates. Let's be clear, the Vantage V is an incredibly smart multi sport training watch and system. It is not as of yet a "smart watch" as there are no phone notifications or basic navigation features (coming with the next update), no music control on board music, or payment with watch options. Update: With the exception of payments(not expected) all the previously missing smart watch features have been added with the February update. I have yet to test music control which appears to be Android and only via notifications. First and foremost Polar is about training and data, well presented. Not to worry about style for everyday use as the thick rectangular shapes of Polar's of old are replaced with a very attractive round shape with a sleek, superbly comfortable, slightly stretchy silicone band. 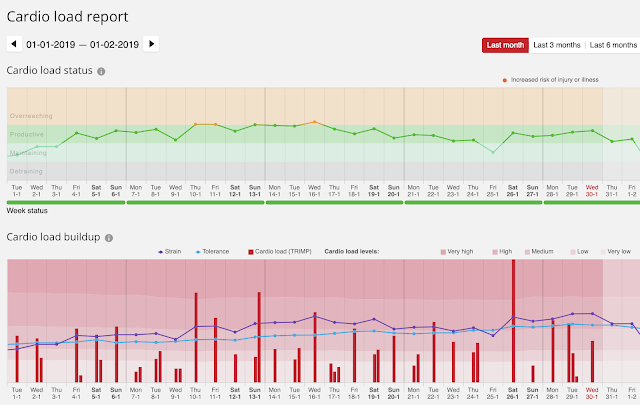 If If you are into the details of cardiac based training, measuring your training progress over time, and getting insights into when to increase or decrease the intensity of your training the Polar system (watch and Polar Flow) can't be beat, if you are patient.. While the Polar Vantage still has early teething issues as I have stuck with its long term trend based analytics I found tremendous value this past month. I learned I was training to lightly from a cardiac load standpoint, "Maintaining" rather than being "Productive". When I step up my efforts on the way to Boston I will also be sure to watch for "Overstraining" day in day out. Having tested many GPS watches and platforms, the Vantage V and its Polar Flow training and recovery system is the first where I can see the the longer trends more clearly and simply even in the watch view of all that data. It does take patience and potentially Polar is just to elite focused and overly clinical by insisting on the longish Orthostatic Test with chest strap several mornings per week to determine Recovery. Approaching the overall capabilities of its predecessor at the top of the Polar line, the V800, it is not quite there but getting there. Note that I have only tested it for running but it has full multi sport capabilities.The new wrist based Power and Muscle Load while intriguing should be better integrated into an overall picture of Strain and Tolerance from a cardiac but also musculoskeletal perspective. I would like to see ground shock as part of Muscle Load and this coming from my experience running on snow this past month in Park City where the softer surface clearly allows far easier on the legs volume than pavement running which allowed me to dramatically and easily increase my volume and vertical and this at 6800 feet, over 2200 meters of altitude, my usual being dead level. While the app is fine for quick evaluation, the browser based Polar Flow page is far more detailed and useful. Despite the many watch choices I am fortunate to have and I almost always run with two watches to compare, day to day the Vantage V will remain a daily run companion in my run up to Boston because in the end, despite some current shortcomings, when combined with Polar Flow, I can better monitor my status and progress and over time better than other alternatives and why not say it's a great looking watch. I have not tested the Vantage M but by spec it has 30 hour battery life vs. 40 hours for the V. It does not have a barometric altimeter so it does not measure Power or Muscle Load from the wrist but can via third party sensors. Otherwise all other features are the same including access to Polar Flow. There is no touch screen or stainless steel front case but it does weigh a very light 45 grams vs. 66 g for the Vantage V. It is priced at a very reasonable $279 vs. $500 for the V.
Newer versions of these watches include all kinds of "smart watch" features more focused on day to day use than currently provided by the Vantage as well as very robust navigation and mapping features. The Vantage has a superior training battery life, almost double even the highest end Fenix in best mode, but weaker battery life in 24/7 HR monitoring which it currently doesn't use as Garmin does for sleep and stress. This said Garmin screens in exercise mode are considerably more visible pretty much across the line,. As of now Garmin wrist HR is somewhat more consistent than Polar's but I expect updates will continue to improve Polar's consistency. 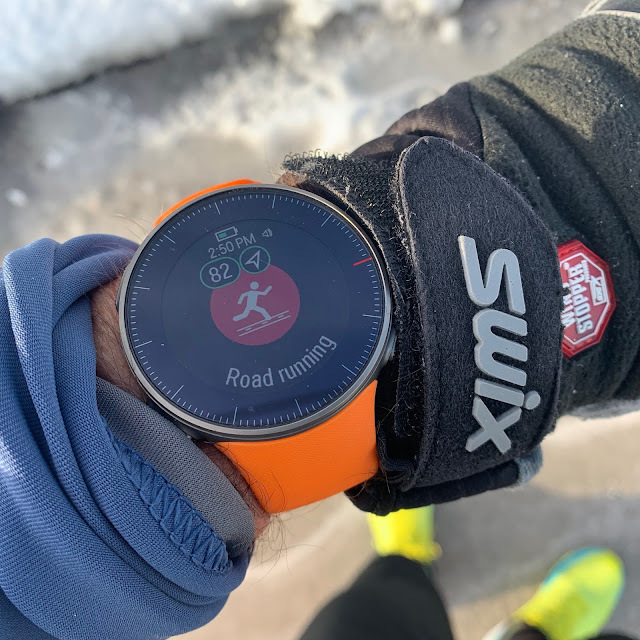 While Garmin can collect and display much of the same data as the Vantage, Polar's training and recovery focused views and insights are far more useful as they are easier to analyze and make it easier to understand trends. 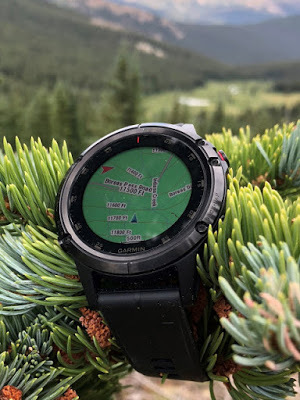 The Apex ($350) from new player Coros provides great value in a long battery life multi sport GPS and wrist HR watch with a sapphire crystal and titanium bezel, features which cost hundreds of dollars more in a Garmin and are not available in the Polar. It currently provides phone notifications with route following soon to come. Apex went 6.3 days and had about 50% battery left. I expect a 12 day battery level at that level of activity. The spec is for up to 35 hours battery life. In cold I have seen 30-36 hours so just short of the Vantage V. In Ultra Max mode it can go up to 75 hours of training. It achieves this by sampling GPS every 2 seconds in Best mode vs the usual 1 second and filling in with the gyroscope and altimeter. 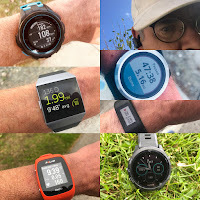 To date comparing side by side with Vantage and various Garmin on twisting courses in open terrain it's GPS track fidelity has been superior to the other brands. On the other hand, its wrist heart rate lags Polar and Garmin, occasionally exhibiting long stretches of heart rate about 15 bpm above actual at the beginning of runs (where higher rates are often seen in cold when not warmed up but) but also in stretches in the middle of runs and even indoors where temperature was temperate. These stretches are not show stoppers for this fine watch but could be improved. Its screen is also quite dim with thin digits (why or why Garmin figured this one out with fat digits. 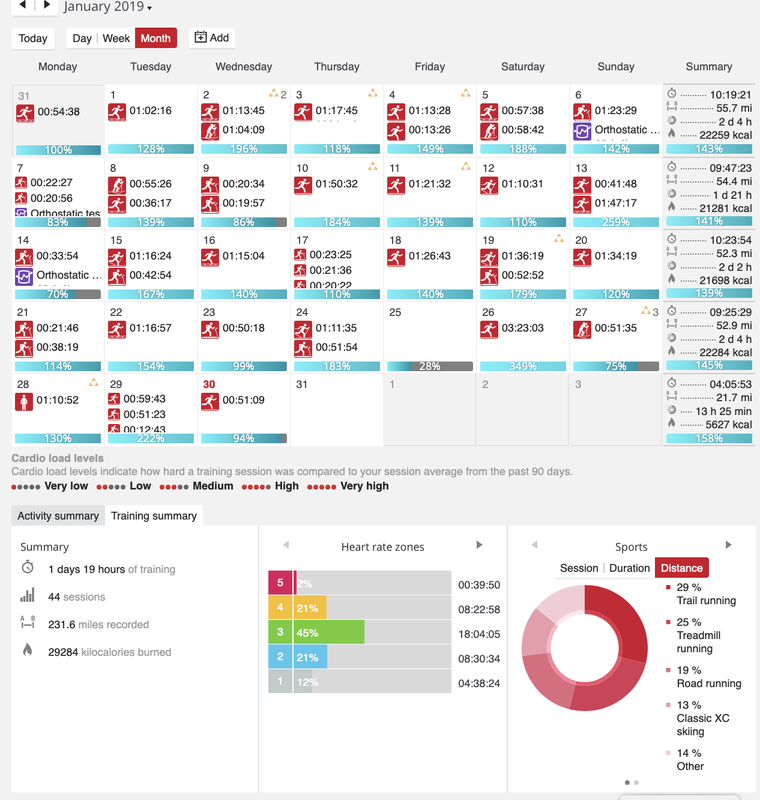 Its analytics (all app based no web view) are more streamlined and basic than Polar's but add night resting HR, VO2 max, Lactate Threshold estimate, and Threshold pace (close but a bit optimistic) with its trend and graphical trend information is more minimal for sure than Polar Flow but adequate. 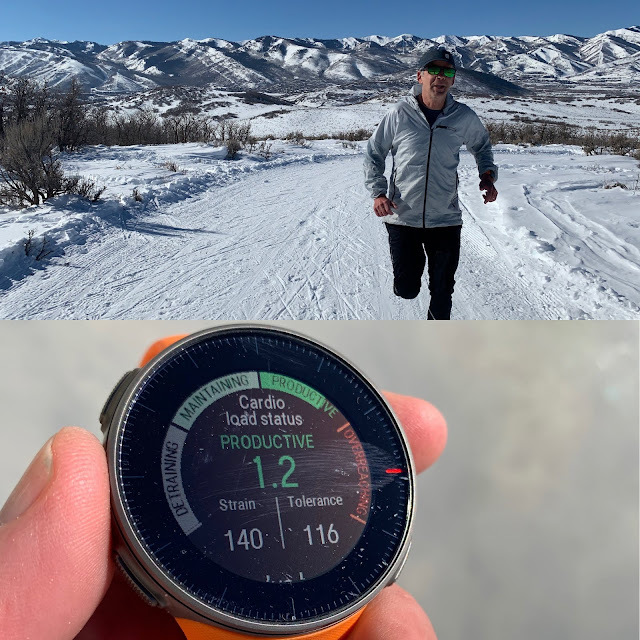 It's VO2 max estimate is lower than actual (in the high to mid 30's when usually high 40's as estimated by Garmin) as Apex does not as of yet take into account the effects of altitude and run elevation gains in its estimates and I was at altitude and running quite slowly on snow in January. Thank you for your review! 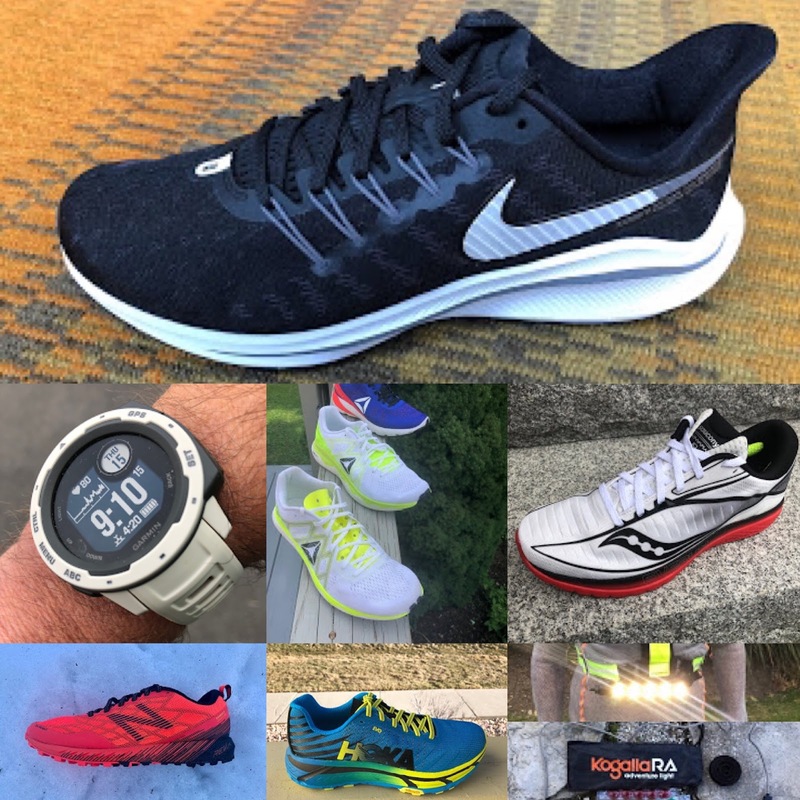 Currently in the market for a multisport watch. Compete in Tri's. Would you recommend this or the Garmin 935? Sam, thanks so much for your detailed review. I have only one question, the H10 strap costs $50 when paired with the Vantage V - is it a necessary purchase to make use of the capabilities of the watch, in your opinion? If you want to do the Orthostatic test you will need the H10. I gave up on the test as when I wake up it is not the first thing I want to do and I do not train as intensely as an elite or Olympian might that's for sure! The strap should provide more accurate readings for non running activities: gym, bike, etc... where the clenching can cause issues. On the run the strap can provide somewhat more stable readings in my experience, fewer spikes and such while on the other hand the strap pretty consistently the strap gives me wild very high spikes early in runs. but in the end the averages get close and the strap is inconvenient. I think a better more friendly alternative is Polar OH1 forearm strap. I always appreciate your thoughtful reviews. 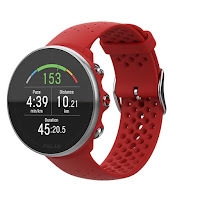 I am in the market for a new GPS watch and have been looking at the new Polar and Coros offerings. I am looking forward to your in-depth look at the two Coros watches. Are they still in the works? Again, thanks for all of your good work!